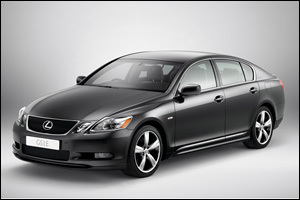 On the outside, the GS300 looks fairly simple and straightforward. But how does it fare on the inside? Join Julian for the ride to discover more. Authorised Distributor Lexus cars are Lexus 3-Row RX 350L, Lexus ES 250, Lexus ES 300h, Lexus IS 300, Lexus IS 300h, Lexus LC 500, Lexus LS, Lexus LS Hybrid, Lexus NX 300, Lexus NX 300h, Lexus RX 300, Lexus RX 350, Lexus RX 450h, Lexus UX 200, Lexus UX 250h. Parallel Imported Lexus cars are Lexus CT Hybrid, Lexus NX Hybrid.